Books about women. Books by women. For reasons that will become all too clear later in the year (yes, it’s got something to do with books in translation) I’ve been thinking a lot about women. About how they’re treated. About who’s fault it is. It all started with rubbish Italian television, Berlusconi, lady senators and a book called Meat Market. Female Flesh Under Capitalism by Laurie Penny. What can the four possibly have in common you might be asking yourself? Well, sadly in Italy they are all related. But I had that conversation somewhere else and I want to talk about books here. 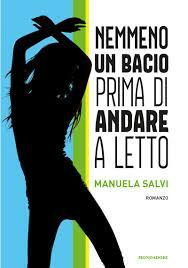 Italian books about women. Books by Italian women. From Silvia Avallone’s Marina Bellezza, to Manuela Salvi’s Aleksandra, Bianca and Alessia, and Catena Fiorello’s Picciridda. Different writers, different stories, different audiences, but all women and all with something important to say. About women.